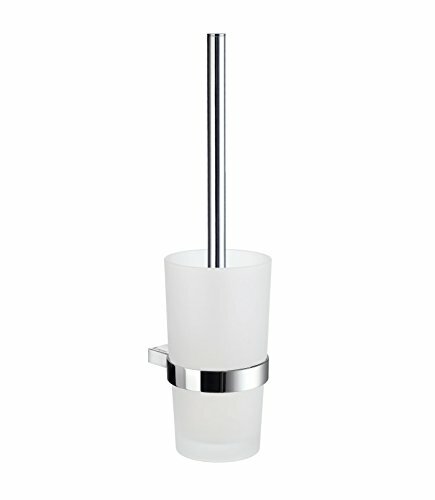 Home - toilet brush in Polished Chrome. Wall-mounted. Frosted glass container.